What is diabetes and what are the different types of diabetes? Diabetes is a chronic ‘lifestyle disorder’ in which a person has high blood sugar caused by discrepancies in the production and action of insulin. The pancreas either does not produce enough insulin or the body is unable to effectively use the insulin it produces. Insulin is a hormone produced by the pancreas and is responsible for regulating and maintaining the blood sugar levels in the normal range. Insulin deficiency causes an imbalance in the blood sugar levels, raising it to higher than normal levels, resulting in diabetes. There are majorly 2 types of diabetes; Type 1 and Type 2. Type 1 diabetes occurs when the body’s immune system attacks the pancreas considering it to be a foreign body. The pancreas stops functioning and there is no insulin production, hence causing the buildup on sugar levels in the blood. Type 2 diabetes generally develops after the age of 35 though it can appear at any age including in children. Women also suffer from a condition called as Gestational Diabetes which manifests itself during the course of pregnancy. What are the early signs of possible diabetes? Diabetes is a silent killer and may be total without symptoms (asymptomatic). 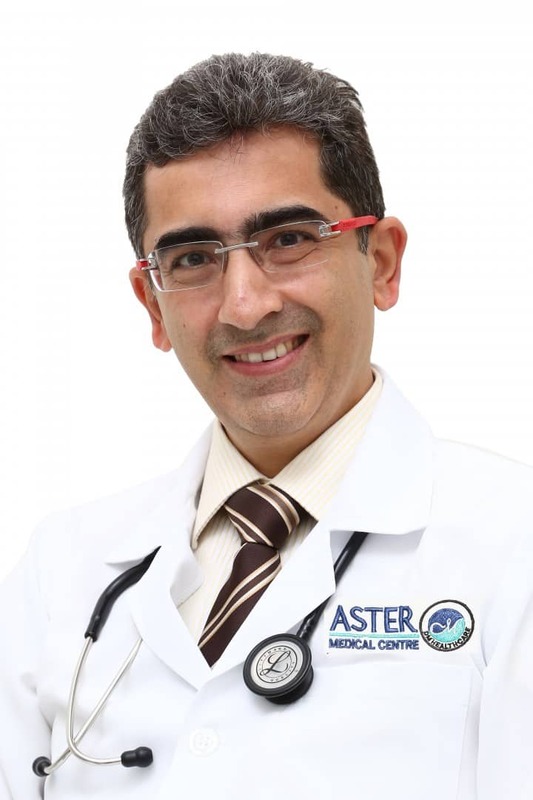 If any of these symptoms persist over a period of time, then it is best that you visit a specialist in order to ascertain the cause of these symptoms. How common is diabetes? Are the number of cases in the UAE increasing or decreasing? 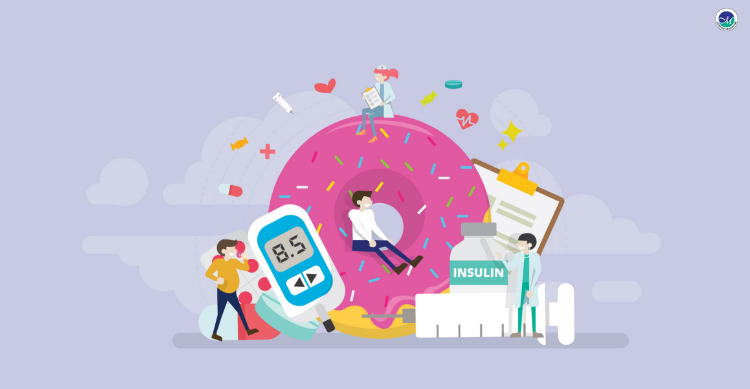 According to the Imperial College London Diabetes Centre, as of 2017, 17.3% of the population of the country between the ages 20 and 79 have type 2 diabetes. There are over 1 million people currently living with diabetes in the UAE. The increase in the number of cases can be attributed to a sedentary lifestyle, poor eating habits and decreased physical activity. On the other hand, diabetes awareness has resulted in more people getting diagnosed and starting treatment than before. The resulting high blood sugar levels due to diabetes can bring about serious harm to the entire body. There are two category of complications that occur in patients with diabetes – chronic and acute. Diabetic retinopathy: Is a condition wherein the high blood sugar levels can damage the small blood vessels in the eyes. This remains asymptomatic but may eventually lead to a loss in eyesight, if the control of sugars remains poor. Foot problems: Patients with diabetes are at a higher risk of developing serious foot problems that if left unattended, could eventually result in amputation. Heart attack and Stroke: High blood sugar along with high blood pressure and cholesterol lead to blockages in arteries thereby increasing the patient’s risk for cardiovascular diseases (by 2 – 3 fold) and stroke. Kidney disease (nephropathy): Nephropathy is a slowly developing condition that occurs in those patients who have had diabetes of long duration. In this condition, there is leakage of proteins in the urine and if left untreated can lead to kidney failure. Neuropathy: Nerve damage occurs because the high blood sugar levels cause damage to the blood vessels that supply the nerves, thereby causing damage to nerve fibers. Neuropathy can be of 3 types – sensory, autonomic and motor and may be responsible for non-healing foot ulcers leading to amputations. How can diabetes be treated? The advancements in healthcare over the last decade have allowed patients with both types of diabetes to now to be able to avail of comprehensive treatments. Treatments for people with type 1 diabetes include – Insulin analogs, Insulin pumps, and Islet cell transplant. While those for patients with type 2 diabetes include – diet and exercise, oral medications and if needed, insulin and weight loss surgery. How can diabetes be avoided in terms of lifestyle changes, including food habits and physical exercise? Weight management: Obese individuals have a higher risk of developing type 2 diabetes than those that are of normal weight. Maintaining a healthy weight is one of the simplest steps that one can take in order to prevent the onset of type 2 diabetes. Having wholesome nutritious meals, not overeating, avoiding junk foods and cola, and controlling your portion sizes can help in managing one’s weight. Exercise: Exercising allows the body to utilize glucose more efficiently by facilitating its entry from the blood into the muscles, where it is used as energy. 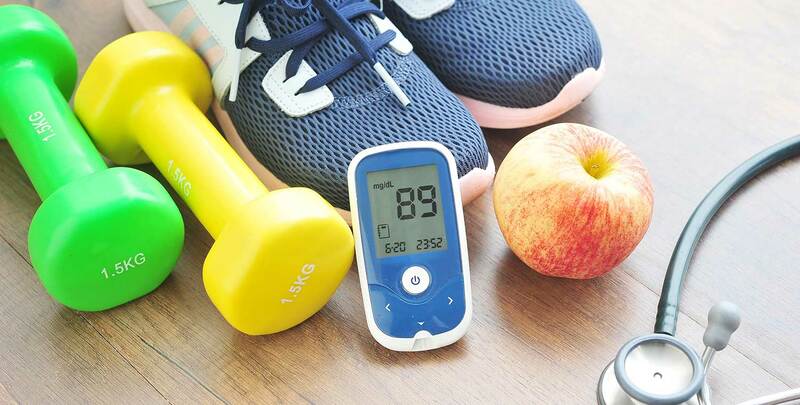 Thus, if you are a person who is at risk for type 2 diabetes, regular exercise of 30 minutes at least 5 days a week can play a large role in ensuring that you do not develop the condition in the long run.